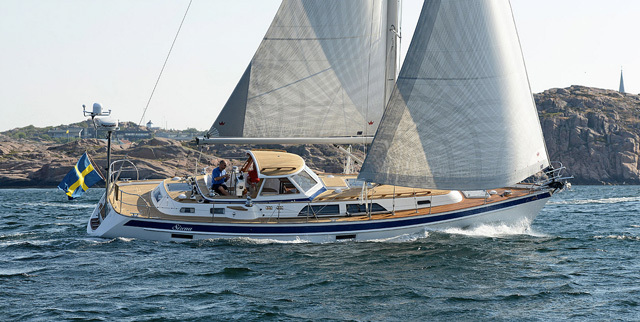 Read each category and sub-category carefully and you will know the boat intimately as well as the exceptionally knowledgeable owners and their goals for Rua Fiola. 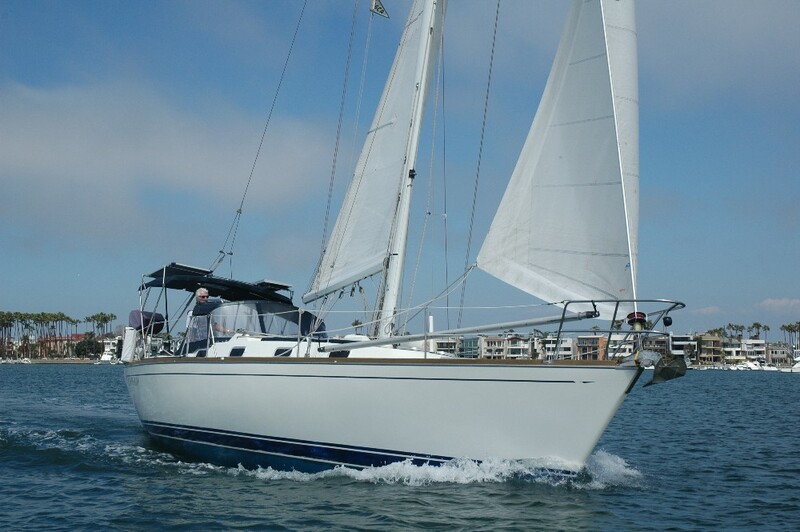 Go to full specifications for further details and even more pictures. Call us to get aboard and prepare to be impressed! Entering from the seakindly cockpit and down the easily accessed companionway ladder the first sense of exceptional are beautiful teak bulkheads with white headliner and a new teak and holly sole with opening floor hatches to easily access tanks and the bilge. Immediately to starboard you first find the flip top navigation desk with pull out padded swivel stool followed by a long settee with cabinets and storage above, behind and below. Moving forward is the private guest stateroom with over/under Pullman berths to starboard, storage cabinets, hanging locker and access to the anchor locker. 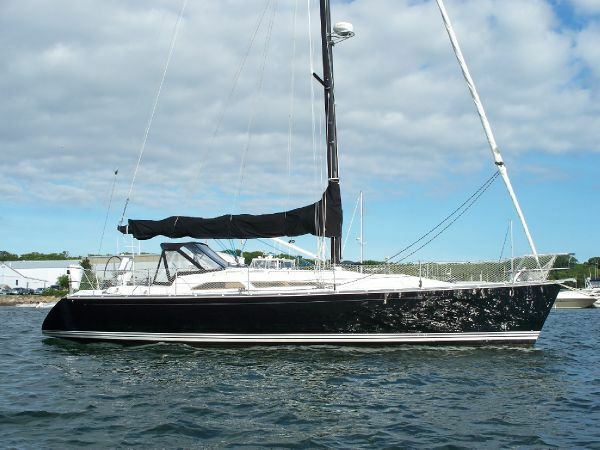 Next aft to port is the private guest head with vanity, head and shower plus ample storage cabinetry. Moving aft to port you'll find the spacious salon with curved settee surrounding an oval teak dining table and generous storage capability. Next aft is the refrigeration center with top loading freezer and top and front loading refigeration compartments. Further aft is the walk-thru galley with counter space and large SS sink over the engine access doors. Outboard is the stove, more counter space and extensive storage cabinetry. From the galley moving aft is the master head with vanity, head, cabinetry and separate shower and private entry into the master stateroom. 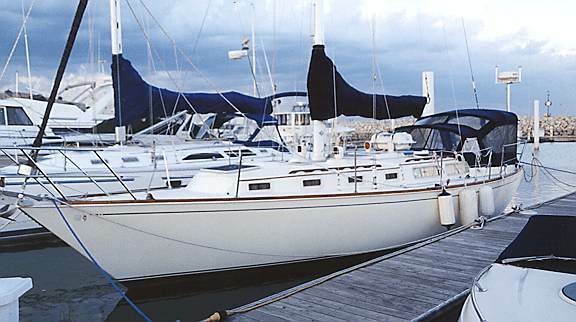 The master offers an athwartship king berth with pillow top mattress, bench seating in front of the berth with storage under, Hanging lockers, shelves, cabinets, aft windows to the sea and an overhead hatch. Truly an inviting, cozy, romantic master stateroom! Moving forward from the starboard side of the master you find a double sea berth outboard over storage cabinetry and more engine room access doors to port. 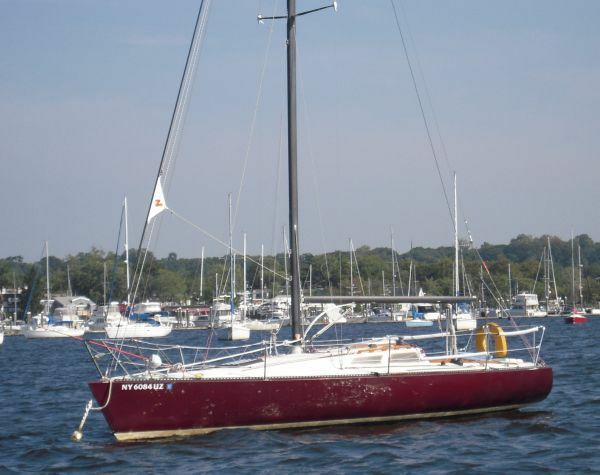 Few, if any 42' boats will have the storage capability of this Vagabond 42'! Teak decks have been refurbished and are in extraordinary condition! Aft deck "lounge" with twinchairs and cocktail table! Rua Fiola awaits her new Captain and First Mate. 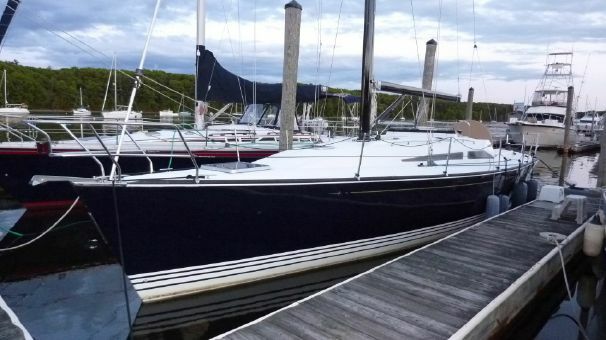 She is an exceptional Vagabond 42 who has traveled to Venezuela, the Caribbean, has been lived aboard and is now "resting" in Ft. Pierce Florida having just been recently completely re-fit. She is ready willing and able to continue her adventures. Don't miss visiting her website detailing every facet of her recent and ongoing re-fit. We welcome your most RIGID inspection!